As flight controllers monitored their data, the decision was made to allow the Expedition 56 crew to sleep since they were in no danger. When the crew was awakened at its normal hour this morning, flight controllers at Mission Control in Houston and at the Russian Mission Control Center outside Moscow began working procedures to try to determine the location of the leak. 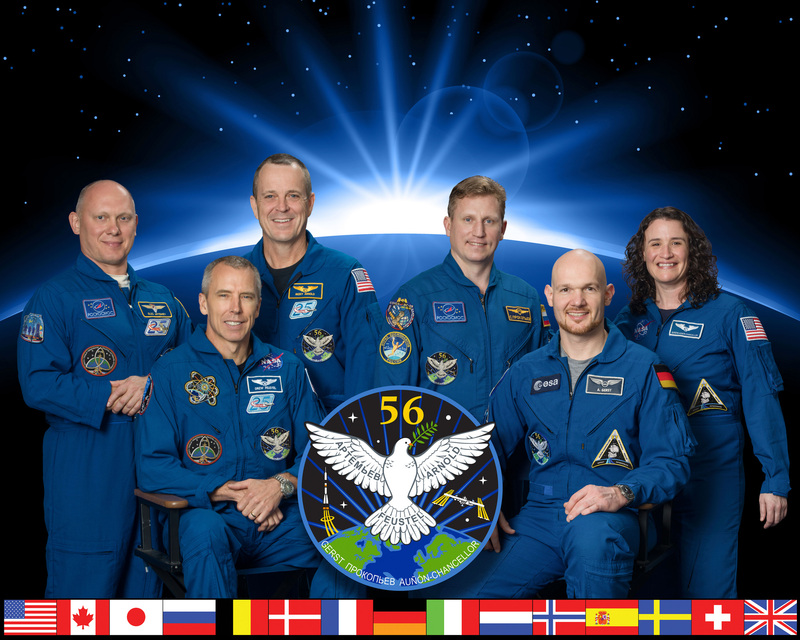 The six crew members, station Commander Drew Feustel, Flight Engineers Ricky Arnold and Serena Auñón-Chancellor of NASA, Alexander Gerst of ESA (European Space Agency) and Oleg Artemyev and Sergey Prokopyev of the Russian space agency Roscosmos, gathered in the Russian segment of the station and, after extensive checks, reported that the leak appears to be on the Russian side of the orbital outpost. Program officials and flight controllers are continuing to monitor the situation as the crew works through its troubleshooting procedures. 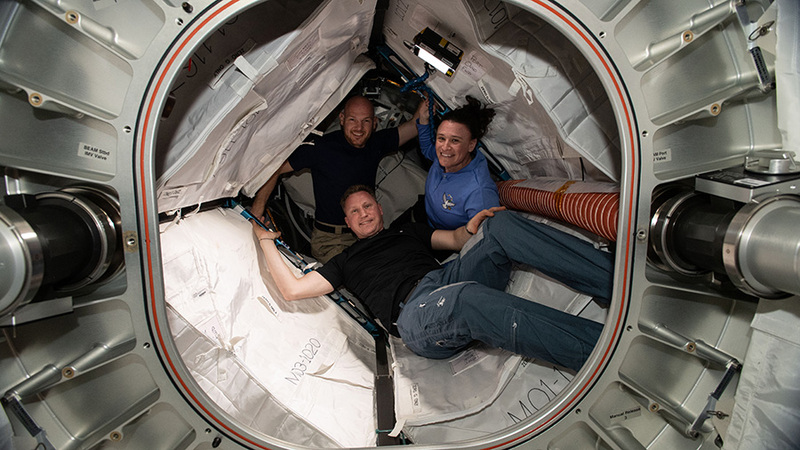 Expedition 56/57 crew members (clockwise from top) Alexander Gerst, Serena Auñón-Chancellor and Sergey Prokopyev pose for a portrait inside the Bigelow Expandable Aerospace Module (BEAM). 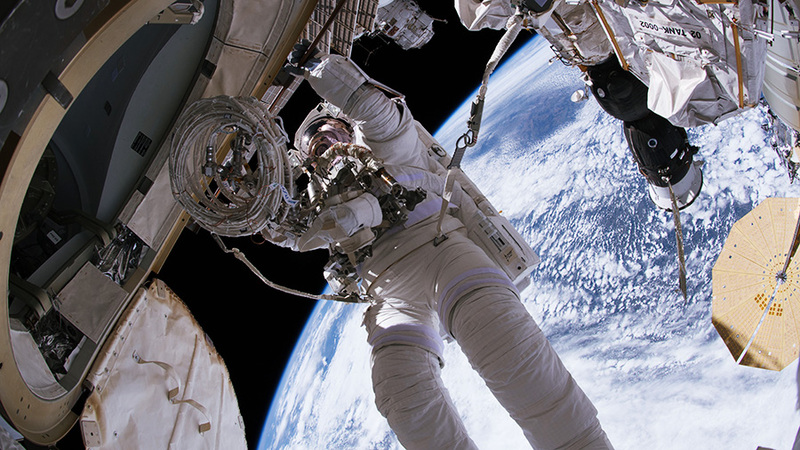 NASA astronaut Drew Feustel is pictured June 14, 2018, during a spacewalk to install high-definition cameras to provide enhanced views of SpaceX and Boeing commercial crew spacecraft approaching the International Space Station. 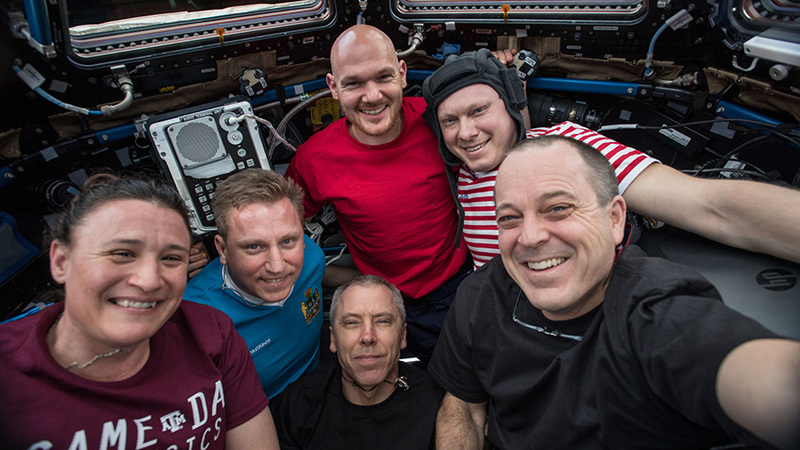 The entire six-member Expedition 56 crew gathers in the Cupola, the International Space Station’s “window to the world,” for a team portrait. In the front row, from left, are NASA astronauts Serena Auñon-Chancellor, Commander Drew Fuestel and Ricky Arnold. Behind them, from left, are Roscosmos cosmonauts Sergey Prokopyev and Oleg Artemyev. At the top of the group is astronaut Alexander Gerst of ESA (European Space Agency). The Expedition 56 crew members started off the work week with biomedical studies and human research to understand how living in space impacts their bodies. The crew conducted eye and vision tests, tried on a specialized exercise t-shirt and researched gene expression and protein crystals. Five of the six International Space Station residents participated in a series of regularly scheduled eye exams and vision checks today. Each crew member covered an eye and read a standard eye chart to test their visual acuity. Next, Flight Engineer Serena Auñón-Chancellor and Commander Drew Feustel scanned their eyes with an ultrasound device to look at the optical nerve and retina. Finally, Flight Engineers Ricky Arnold and Alexander Gerst used a Tonometer to measure eye pressure. Arnold started his morning extracting RNA to help researchers decipher the changes in gene expression that take place in microgravity. Feustel photographed protein crystal samples with a microscope to help doctors develop more effective disease-treating drugs on Earth. Gerst of ESA (European Space Agency) worked out today in a custom SpaceTex-2 t-shirt for an exercise study testing its comfort and thermal relief while working out in space. He then moved on to the GRIP study exploring how an astronaut’s cognitive ability adapts when gripping and manipulating objects in space. 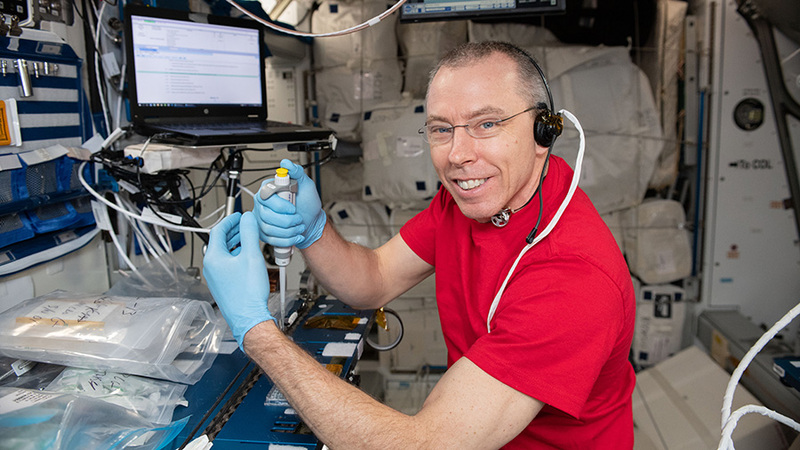 Expedition 56 Commander Drew Feustel is inside the Harmony module working on the Protein Crystal Growth-13 experiment which is seeking to fine-tune the research process in space and help public and private organizations deliver results and benefits sooner.. Ongoing exercise research and gym maintenance took place aboard the International Space Station to ensure astronaut health and mission success. The Expedition 56 crew members also worked on autonomous satellite operations and botany and astronomy gear. European Space Agency astronaut Alexander Gerst has been participating in an exercise study all week developed by the German Aerospace Centre (DLR). He has been working out in a custom t-shirt with a specialized fabric for the SpaceTex-2 experiment that may improve an astronaut’s comfort and thermal relief while working out in space. A treadmill is getting its twice-yearly checkup today in the Tranquility module. Flight Engineer Serena Auñón-Chancellor of NASA spent Friday morning checking the treadmill’s belt tension, greasing axles and replacing parts. Engineers on the ground will review its condition before the crew gets back on the treadmill for daily runs. Commander Drew Feustel set up a pair of tiny internal satellites today, known as SPHERES, and tested the autonomous operation of the free-floating devices. The SmoothNav experiment is researching using algorithms that spacecraft may use to operate and communicate with each other when conducting space-based tasks. NASA astronaut Ricky Arnold worked on botany and astronomy gear inside the orbital lab. The former teacher reinstalled the Plant Habitat during the morning after some maintenance work on the Japan Kibo lab module’s EXPRESS rack. In the afternoon, Arnold switched to the METEOR experiment installing new computer software and positioning a camera in the U.S. Destiny lab module’s Window Observational Research Facility. METEOR observes and takes spectral measurements of the chemical composition of meteors entering Earth’s atmosphere. 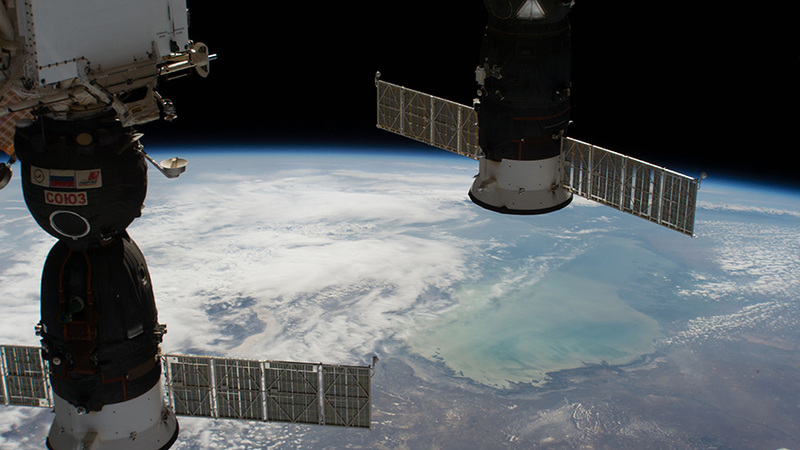 Russia’s two docked spacecraft, the Soyuz MS-09 (left) crew ship and the Progress 70 resupply ship, are pictured as the International Space Station orbited nearly 254 miles above northern Kazakhstan. 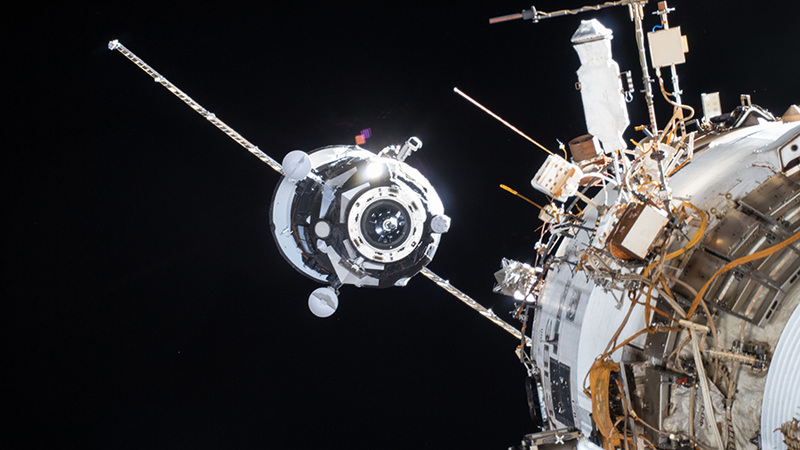 The Russian Progress 69 (69P) resupply ship approaches the aft end of the Zvezda service module where it docked Feb. 15, 2018. Loaded with trash, the Russian Progress 69 cargo craft undocked from the aft port of the Zvezda Service Module at 9:16 p.m. CDT, 10:16 p.m. EDT, completing a six-month delivery run to the International Space Station. 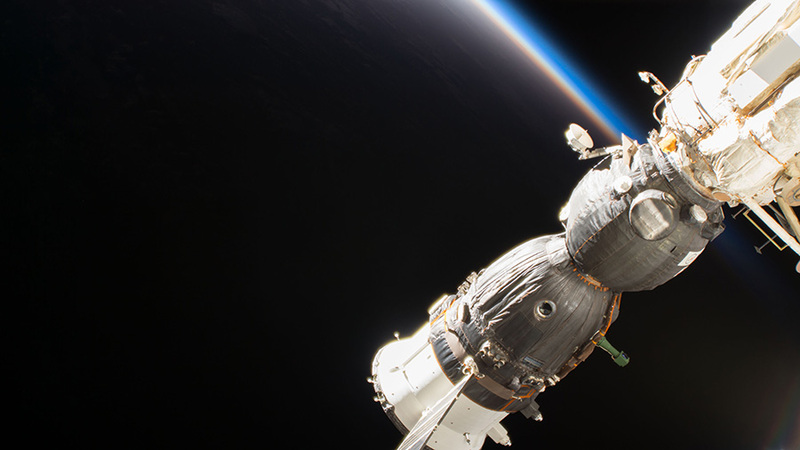 The unpiloted Progress will move to a safe distance from the orbital laboratory for a week’s worth of engineering tests by Russian flight controllers before it is commanded to deorbit next Wednesday night. It will then burn up harmlessly in the Earth’s atmosphere over the Pacific Ocean. 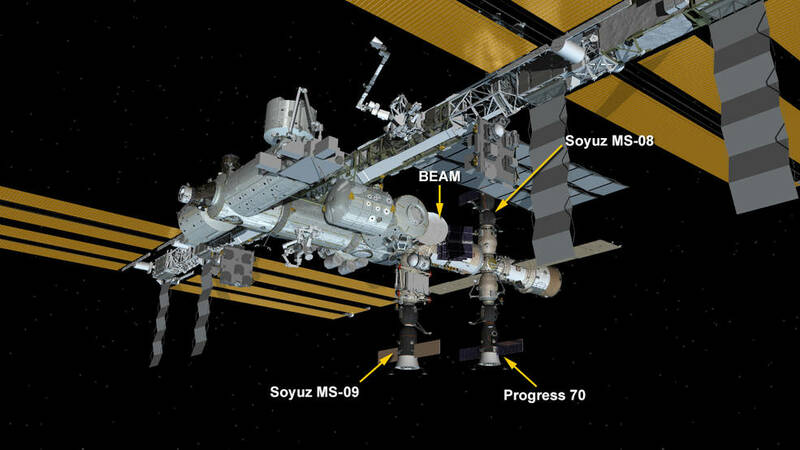 The next Progress cargo ship to launch from the Baikonur Cosmodrome in Kazakhstan, Progress 71, is scheduled in late October.